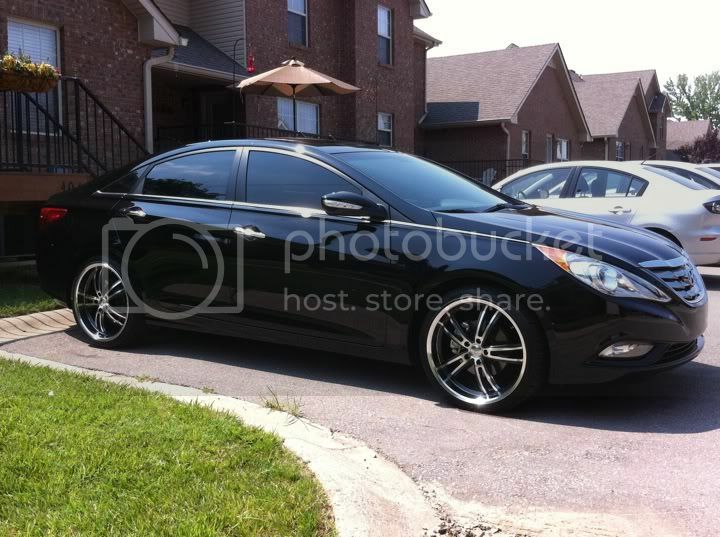 Hyundai Sonata Forum > Hyundai Sonata General Discussion > Hyundai Sonata Wheels, Tires and Suspension > 19" wheels. Your thoughts? I haven't even taken possession of my new Sonata yet. I get it in two days. But I've already started the painful task of finding a set of wheels for this car. I am a firm believer in the adage, "to each, his own." Well, my "own" is that a car's wheels should embody design elements of the car they're placed on. What I mean is, there are design elements found on the car, that should be captured, or hinted at, in the design of the wheel. But that's just me. 1. Ace Manta. I'm finding some conflicting information as to whether or not these are available in 19" AND have the 5x114.3 lug pattern. If they turn out to be available in that configuration, they are a strong contender. 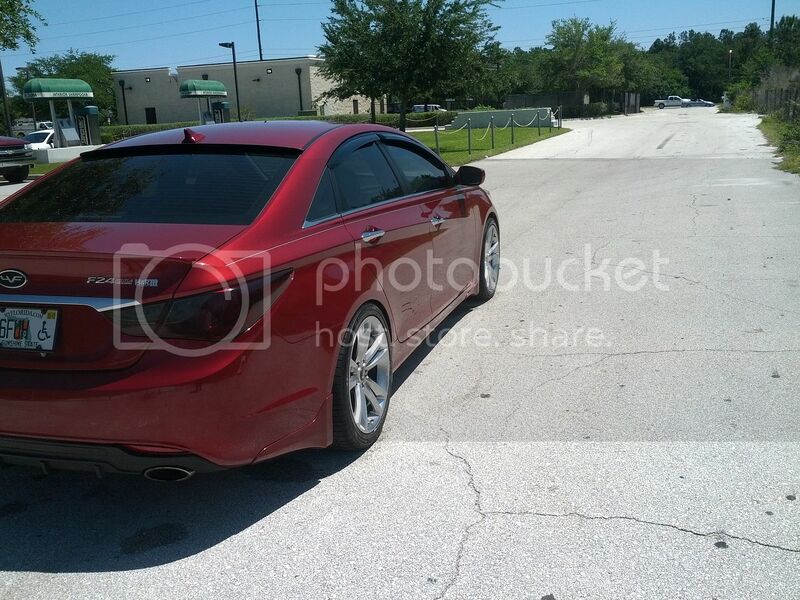 They look similar to the 18" inch OEM wheels, if I'm not mistaken. 2. The Helo HE874. I'd get them in silver, with the machined lip. They're a chunky wheel. And I'm not sure that they'd suit the Sonata. They may make the car look "heavy". Not in the literal sense. These are available at Tire Rack, so you can view them on the car. I had a third wheel written down, but I lost my paper. For starters, what do you think of these two? I don't mind the VVS087's, but its not available in the bolt pattern needed. These sites should really tell you the size (diameter and width) of the wheel in the images they use. 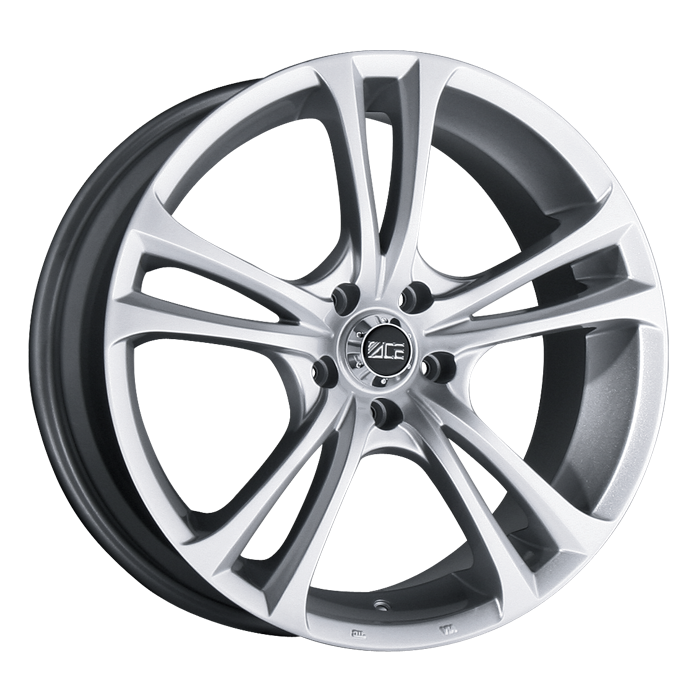 Cause they all look like deep wheels on the Vossen site, but I think that's because they're showing 20"x10" wheels. My other issue is with the "bolts" position on the inner part of the wheels. Unless I'm mistaken, I think the two and three piece wheels are to thank for that. They try to make one-piece rims look like multi piece wheels for some reason. I do not like how they look. The first one reminds me of the Gen Coup Rims. I like them, how much are they going for? Where did you find them? I've found a couple more wheels that might work for me. Konig Airstrike, or the Privat Atlantik. My only concern with these wheels is that the off-set is 45mm. I was hoping to keep the wheels wider than that. Though, I don't suppose a few millimeters is going to make a huge difference. If I were to go with the Privats, I'd stick with the silver. I don't think the Konigs would work. Too angular. The first thing to consider when upgrading wheels/tires is what size tire is going to closely match the diameter of your current set. 2012 Sonata SE's for example have a 225/45x18 set which has a diameter of 25.97" If you go wider and thus heavier you should go slightly less diameter, yet not so much as to really affect your speedometer/odometer. Second, you want the weight of the combination to not be seriously greater than the original or performance - and mpg - will suffer. Third you need to keep the wheel, offset within reason; for the 2011-12 Sonatas, standard offset is 48 mm and minimum should be 40 mm or greater, up to 48 mm. Fourth, the hub bore and bolt circle must match, and last but not least, the wheel must clear the calipers, all around. At least a half dozen times a year somebody comes in with incorrect wheels cause they didn't follow those rules. If you can consult the wheel manufacturer as to whether your wheel selection will fit your sonata. Consult TireRack for dimension weight, and tech data. As to your wanting 19" wheels, the proper size tire is 245/35x19 or 225/40x19; be prepared for much rougher ride. If you choose something like 235/45x19 you will get much reduced performance and mpg. More weight farther from the axis requires more energy to turn and you don't get much back with reduced rpm. ps tirerack.com also willshow you a seletion of wheels that fit sonatas. Last edited by mahout; 04-22-2012 at 05:36 PM. Anywho, I had 17"x7" wheels with 215/45/17 General Exclaim UHP tires. I'm accustomed to a rough ride - though my Eibach spring lowered Elantra and the 17" wheels wasn't too bad. I felt that what I gained in cornering stability was a fair trade for a rougher ride. Having said all that, my goal would be to find a wheel with an off-set that'll create as wide a "track" as physically possible, without creating unwanted fender rubbing and the like. The only thing I hadn't considered was the clearance for the brake calipers. I need to see those Helo wheels in person. After walking around the car countless times today, I think I'll like those wheels on it. Even if they are a little heavy. I average 10000Km per year. I live less than 4Km from my work, so I am not too concern over an adverse affect on my mileage. But it is something I need to consider. We have used aftermarket 17" wheels with 40 mm offset to widen the track same as you want. There's several good choices in 17" which we did for lesser cost tires and higher performance by .3" less diameter on 245 mm tire width. We used H&R lowering springs; no problem. I also disconnected the front antisway bar to reduce understeer and it has proven beneficial: check youtube "sonata singing in the rain ayt vir" at those speeds (notice we weren't passed tho there BMW's and Corvettes on track, too) handling deficits show uup quickly. Like we said, use tirerack to get the specs on the wheels (and tires) and if they fit. very good thing to do if you want to avoid trouble. Last edited by mahout; 05-12-2012 at 02:34 PM. BigMerf, DO you have spacers on them? size? Lowering springs? or coils?...Car looks great.